The Bill Cosby sexual assault trial ended in a mistrial today, leaving Cosby’s alleged victims in tears, the district attorney defiant, the comedian himself “still and solemn,” and the rest of us realizing that we’re probably going to be forced to think and talk about this case for the rest of our (or, more likely, Cosby’s) natural lives. Judge Steven O’Neill declared the mistrial this morning after the jury—which has been in deliberation for six days—declared itself unable to come to a unanimous decision on the three indecent assault charges that have been levied against the comedian. The jury’s deliberations went on for longer than the actual testimony in the trial itself, which they made frequent requests to have read back to them. 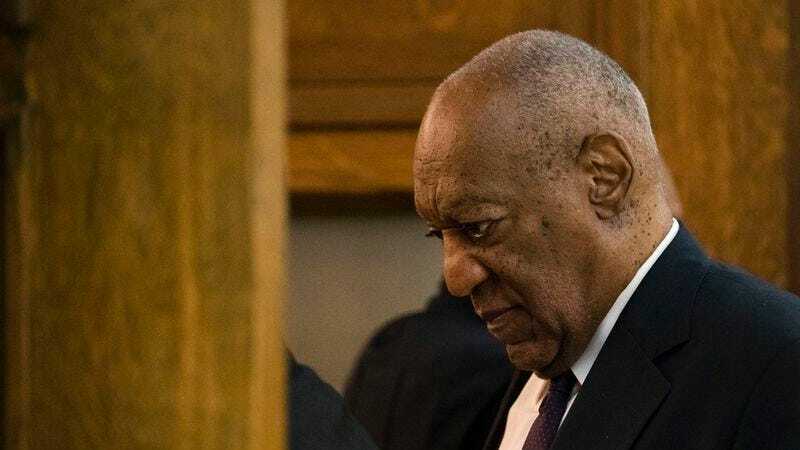 That includes witness testimony from Cosby’s (current, out of the many women who have come forward over the years) accuser, Andrea Constand, who says the comedian raped her after drugging her in 2004, and Cosby’s own description of the events from a deposition he gave in 2005.